Do you know how to help a baby who is choking and have you read any other important updates recently? The Chokeables – featuring the voices of David Walliams, David Mitchell, Johnny Vegas and Sir John Hurt – is a 40 second video that shows people how to help a choking baby. Parents told St. John Ambulance that over 40% of them have witnessed their own baby choke and when they were quizzed on the first aid, they found that almost four-fifths don’t know what to do in this situation. 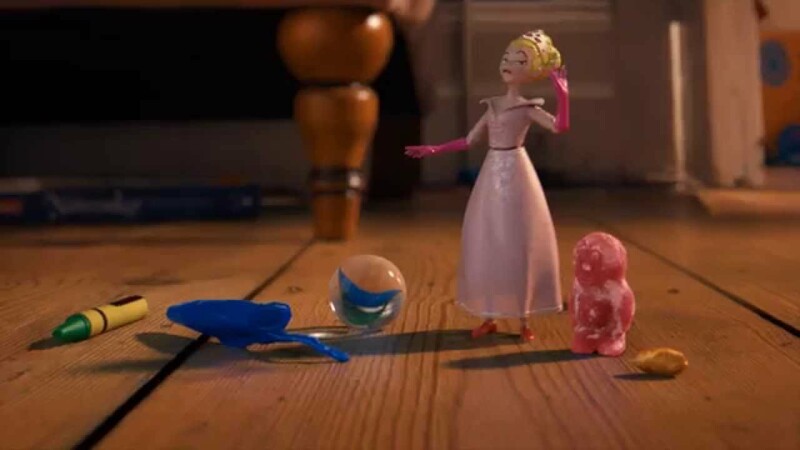 In The Chokeables, the celebrities take on the characters of animated objects that could potentially choke babies: a small princess toy, a pen lid, a jelly baby and a peanut. They’ve joined together because they want to show how easy it is to save a choking baby’s life. There are other first aid resources for parents on the St. John Ambulance website including: dedicated first aid advice videos, a download and keep first aid poster, the St John Ambulance app, and an essential first aid course. Deterioration: How to Spot the Sick Child – by Ffion Davies, Consultant in Emergency Medicine, University Hospitals of Leicester NHS Trust. Batteries, Burns and other Bombs – by Rachel Rowlands, Paediatric Emergency Consultant at University Hospitals of Leicester NHS Trust. Spotting Sepsis in the Sick Child – by Jeremy Tong, Consultant Paediatric Intensivist, University Hospitals of Leicester NHS Trust. <C>ABC with assessment for catastrophic haemorrhage and immediate response to this before Airway assessment. Pelvic binders may be applied in the pre-hospital setting or ED for pelvic stabilisation and haemorrhage control. Remember ‘first clot, best clot’ principle and do not remove pelvic binder until cleared by someone with expertise in this area. Proprietary pelvic splints are available for children. However, there may need to be some innovative approaches to the equipment used depending on the size of the child and the equipment you have available. For example, an adult BP cuff may be more effective in an infant. This Code of Practice provides statutory guidance to registered medical practitioners, approved clinicians, managers and staff of providers, and approved mental health professionals on how they should carry out functions under the Mental Health Act (‘the Act’) in practice. It is statutory guidance for registered medical practitioners and other professionals in relation to the medical treatment of patients suffering from mental disorder. All those for whom the Code is statutory guidance must ensure that they are familiar with its contents. Others for whom the Code is helpful in carrying out their duties should also be familiar with its requirements. The Code has been revised following extensive consultation, collaboration and engagement with service users, carers, professionals, the voluntary sector, providers, commissioners and statutory bodies. It is worthwhile reviewing the above updates – they don’t take long to read and are great CPD for anyone working with children and families – especially those in an Emergency Department.